Improve your free-motion quilting with these tips from Jennifer Keltner. Hi, I'm Jennifer, with a Machine Minute brought to you by Baby Lock and the Symphony machine. 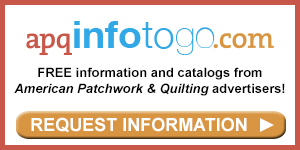 Today we're going to talk about tips for free-motion quilting. 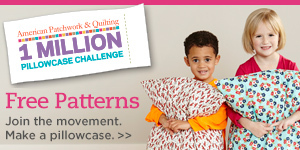 I hear many quilters say they'd like to improve their free-motion quilting skills. And the first thing I always tell them is don't expect to be the expert right out of the gate. There are things you can do to improve your free-motion quilting, but the most important thing you can do is practice, practice, practice. 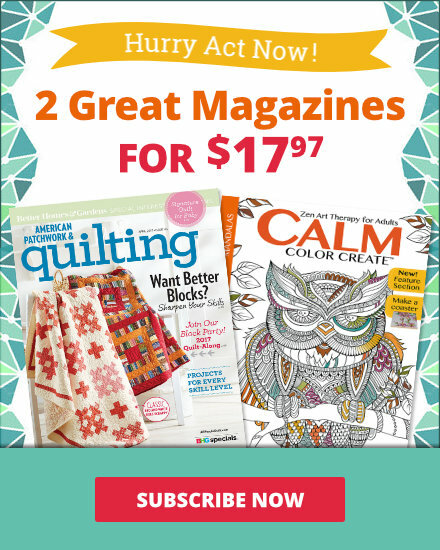 Now, if you're new to free-motion quilting, there are a couple of machine set-up things you need to be aware of. First and foremost, you want to choose the right machine foot. The Symphony comes with a free-motion foot that's also maybe called a hopper foot on some machines. And it has the little closed "O" ring at the bottom where the needle goes through that very specific space. There's also an open-toe free-motion foot and that is exactly what it's describing. It's open in a C shape as opposed to an O shape. You can maybe get a look at the needle a little bit better than you can with the O shape. And there's also an echo quilting foot. And that's for echoing the shape of appliques or other things on your quilting. And it has concentric circles on it. Your machine guide should tell you which machine foot to use for the type of quilting that you're looking to do. Also what you want to be aware of is that you need to drop the feed dogs on your machine. So here's that's done with the touch of a button. On some other machines it's done by lowering the feed dogs manually or if your machine doesn't allow for you to do that, you could always tape a business card-size piece of paper over them. You just want to make sure your feed dogs aren't ripping the fabric beneath the quilt as you're stitching along to do free-motion. You want the quilt to move freely just like that word describes. After you get done setting your machine up, you want to make sure you have an extension table or the largest work surface possible flat with your bed so that you have room to move the quilt about. Then I suggest making a photocopy of your quilt, so you can think about the kind of design you want to put on it. So I've made a photocopy of the section of my quilt and I've decided that for these little snowflake or asterisk pieces I'm going to begin by echo quilting just outside that shape. And I kind of just use my pencil to draw the shape that I'm going to be quilting once I get it under my machine foot. And that just sort of gives me an idea of where I'm going to go once I get started. The other type of free-motion quilting that many people frequently start with is stippling. And that's just an all-over meandering line. And again, where you go is up to you. And you can just wind around. Many people like not to cross the lines when they're stippling, so they'll just meander back and forth. But just get a feeling what that shape is like before you begin stitching. Then when you're ready to move to the machine make sure that you have your hands flat on the surface. And I try to tell people that much like when you're drawing you're moving the pencil, with fee-motion quilting you're moving the paper underneath the pencil. So think of the needle as the pencil and your hands are moving the paper underneath it. You have to be concerned with the speed that you're going and your hands have to be moving the fabric at about the same pace as the needle is moving. If you move too quickly you can either break the thread or you can break the needle or you'll just get big skips and stitches. So moving at the same pace is important. If your machine has the ability to slow down the speed this is a great time to do that, when you're learning to do free-motion quilting. Most of all, just remember, don't expect to be the expert right out of the gate. Take your time. Have fun. 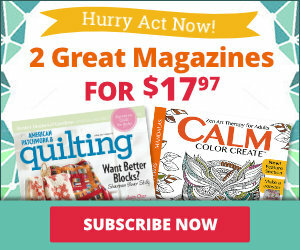 And if you follow this tips, I guarantee your free-motion quilting with improve.